When something goes wrong at your home or business, Dry Patrol comes in and makes it right. You can count on us to clean up the mess, keep you safe, and restore life back to normal as fast as possible. 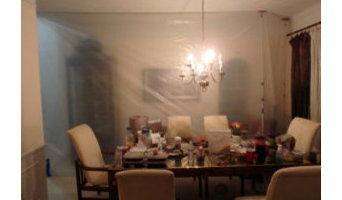 Ohio's most trusted experts for water damage restoration and cleanup, mold removal, biohazard cleanup and more. When something goes wrong at your home or business, Dry Patrol comes in and makes it right. Whether it's water, mold, sewage, fire, or other damage, you can count on us to clean up the mess, keep you safe, and restore life back to normal as fast as possible. When you need the job done fast - and done right - make Dry Patrol your first call. We are a small local "boutique" cleaner and water damage dryout specialists, focused on delivering high quality and outstanding service. The Fiber-Seal Fabric Care System of Northern Ohio combines superior post-installation protection products with exceptional follow-up service. 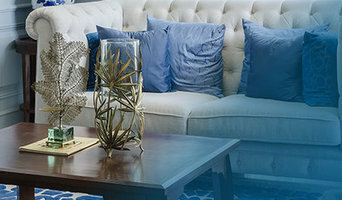 We partner with homeowners, facility managers and design professionals to help keep beautiful interior fabrics and carpeting looking that way, day by day, year after year. Our customized Fiber-Seal service allows our residential and commercial clients to enjoy the fine furnishings they have selected without worrying about spills and soils - we do the work to help eliminate the worry! The Fiber-Seal Fabric Care System helps make the pretty practical, the luxurious livable - all at a cost-effective price! If you have made an investment in fine fabrics and carpeting, make Fiber-Seal of Northern Ohio your #1 source for fabric protection and care. To learn more about how Fiber-Seal of Northern Ohio can benefit you, go to our website www.fibersealnorthernohio.com and fill out a complimentary online Assessment Form. Heavenly Touch Maids is a full service house and office cleaning service based out of Cuyahoga Falls, Ohio and serving all of Akron Ohio and the surrounding area. Heavenly Touch specializes in house cleaning and maid services including spring cleaning, holiday cleaning, house cleaning, office cleaning, garage cleaning, bathroom cleaning, kitchen cleaning, and more. With a large team of reliable, responsible, and professional cleaners we can offer regular services on a weekly, bi-weekly, monthly or as needed basis. Heavenly Touch Maids is locally licensed, insured, and workers are covered by workers compensation to ensure you have a hassle house cleaning experience. If you are not satisfied with their services they have a 100% satisfaction guarantee and will come back and fix anything that isn’t right. 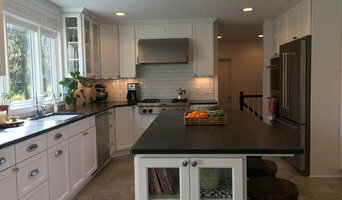 The Heavenly Touch Maids team is very thorough and follows a 75 point checklist when cleaning your home or office. They provide house cleaning services in the following areas: Akron, Bath, Barberton, Brecksville, Brimfield, Canal Fulton, Canton, Copley, Cuyahoga Falls, Green, Hartville, Hudson, Fairlawn, Kent, Macedonia, Mogadore, Munroe Falls, North Canton, Portage Lakes, Richfield, Silver Lake, Stow, Tallmadge, and Uniontown Ohio. 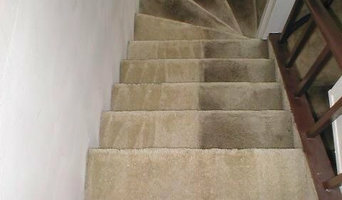 We are a local carpet and upholstery cleaning company. We handle flood restoration and all flooring installations also. Rugs are no different than carpet when it comes to the amount of dirt, dander and allergens that they attract and trap, which means you should also be cleaning rugs regularly to keep your Akron, OH home fresh. The plus side is that unlike carpeting, area rugs can be removed and sent out for thorough cleaning if desired. Rug cleaning can also include repair work as needed, like complete re-weaving or foundation patching. Make sure the local Akron, OH rug cleaner you choose has experience with the types of rugs you need serviced, especially if they are hand-woven or Oriental. Read further to learn more about the process of rug washing. How does professional rug cleaning in Akron, OH work? For in-home rug cleaning services in Akron, OH, most companies use the hot-water extraction method, commonly known as steam cleaning, like they do with carpeting. All you have to do is secure pets and put away anything valuable in the surrounding area and the professional rug cleaner near you will handle the rest.